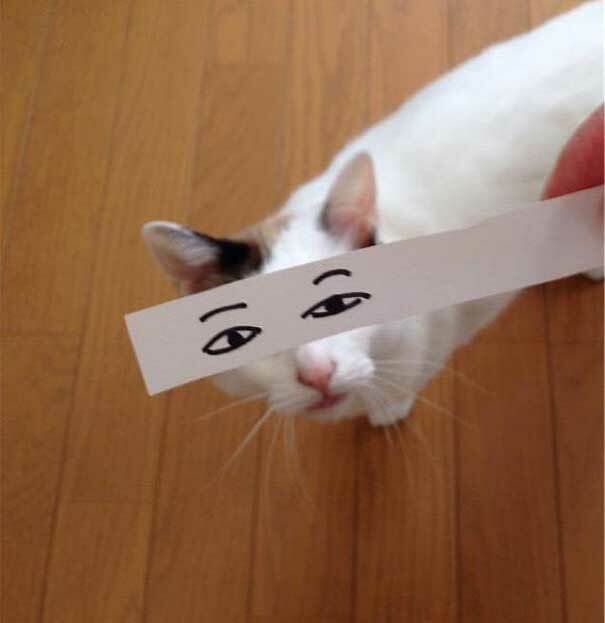 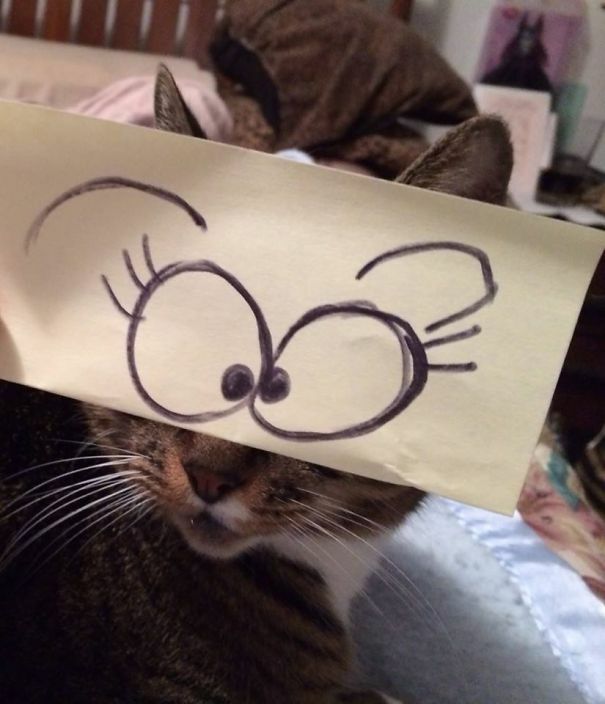 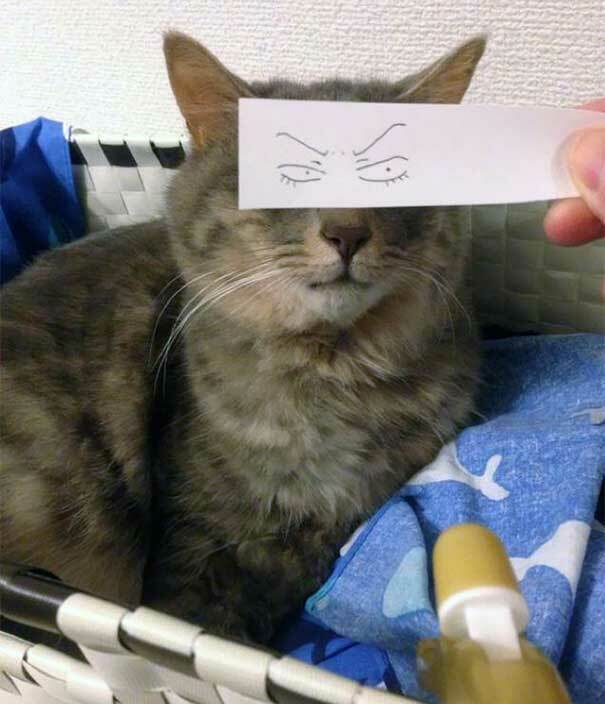 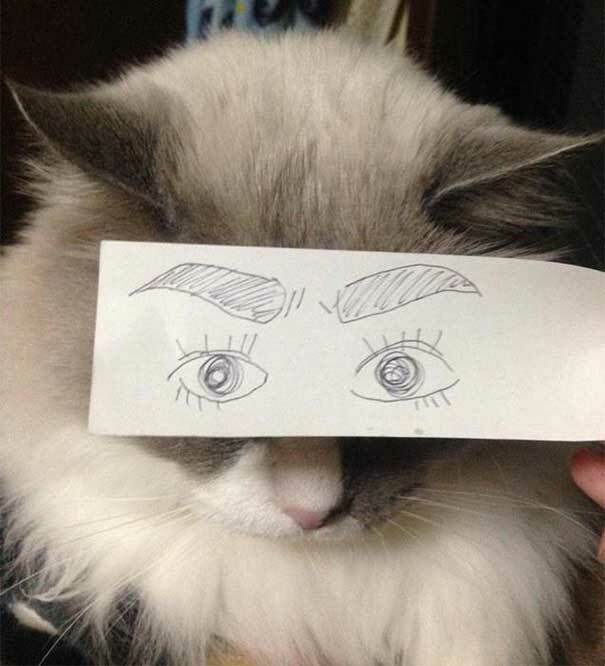 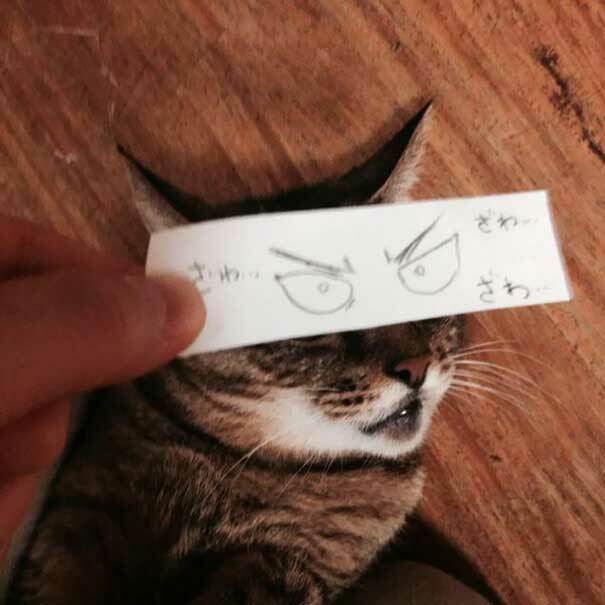 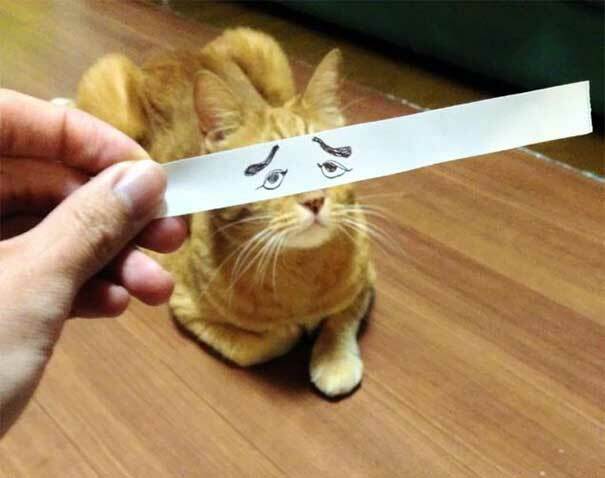 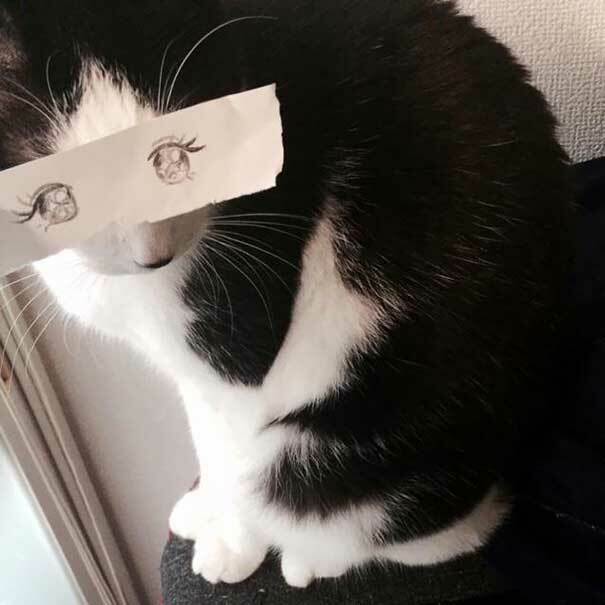 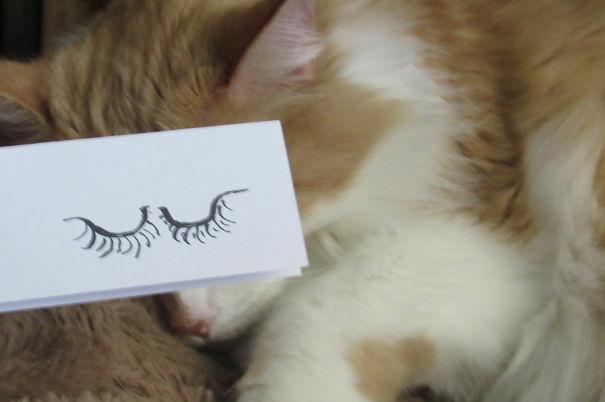 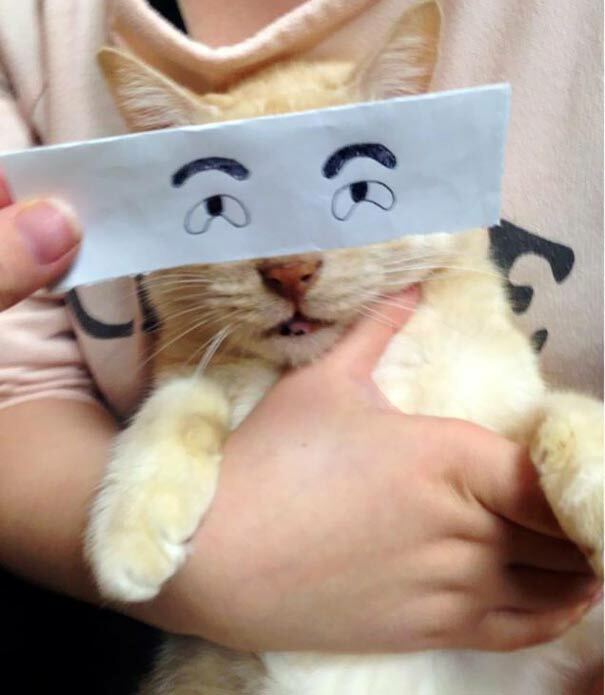 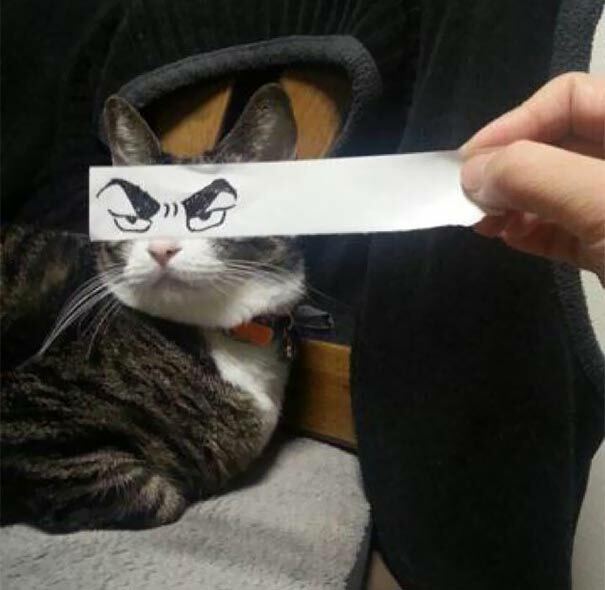 There’s a brilliant trend in Japan that has cat people placing strips of paper with ‘cartoon-y’ or anime eyes in front of their cats to give them goofy expressions. 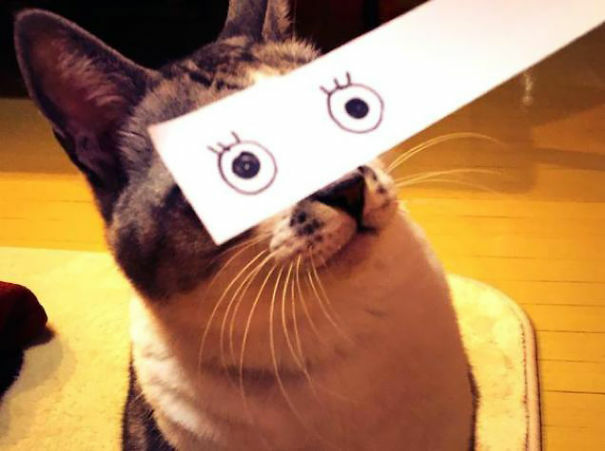 It’s called the “cat montage” (neko montaaju) and it’s hilarious. 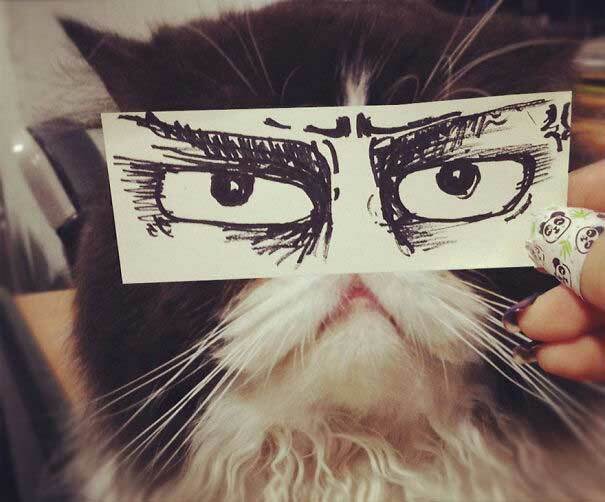 Some of the drawings are quite detailed, and others, although quite badly drawn, still have the same comic effect. 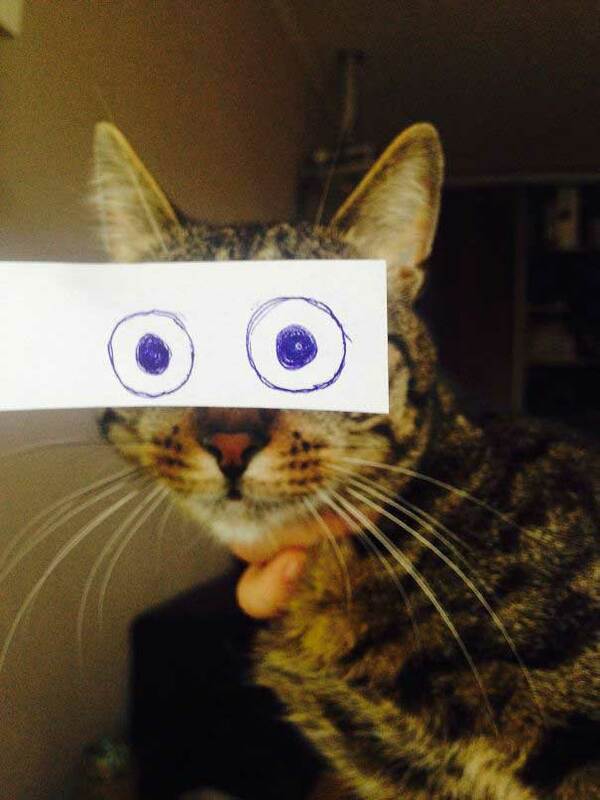 I’m definitely gonna try this on my kitties. 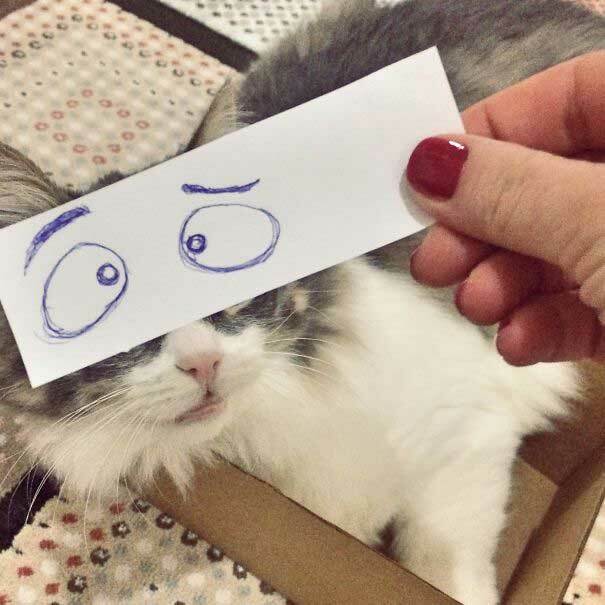 And yes it’s as easy as it looks. 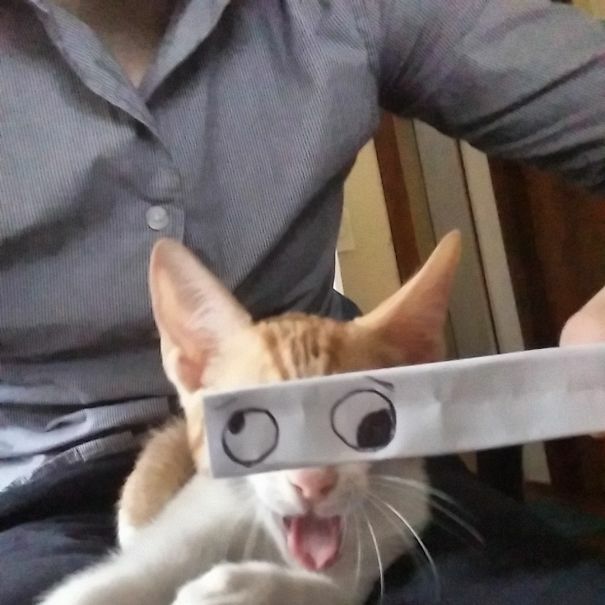 Grab some paper, a pen, then create your cutest (or weirdest) facial expression for your cat and take a picture for prosperity. 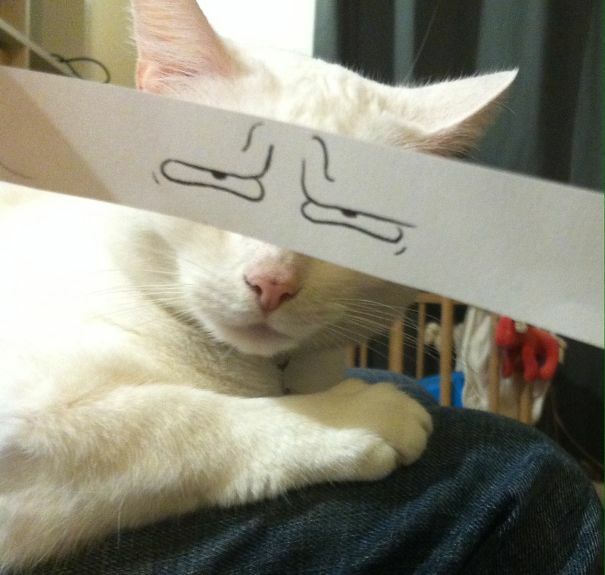 Click here to see 16 pictures of cats sitting like humans!